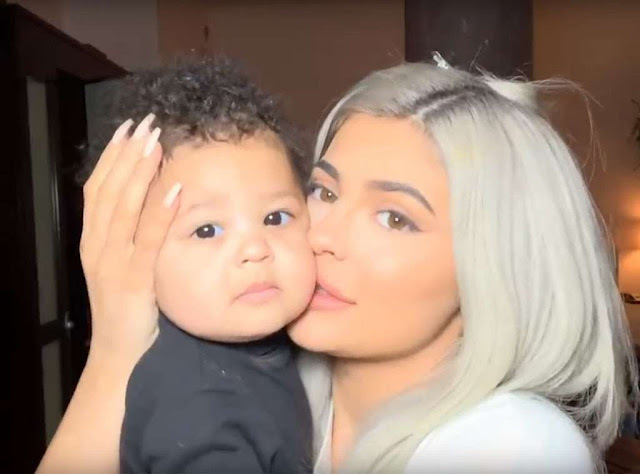 One day after Stormi’s birthday, Kylie Jenner has a second baby on the brain. On the eve of her boyfriend Travis Scott’s much-anticipated halftime performance at Super Bowl LIII, the makeup mogul shared a loving photo of her and her man – and hinted that their family might be expanding soon! In the snap, Kylie cuddles Travis on a staircase, her cheek and hand resting on his shoulder. Both parents’ eyes are peacefully closed, their expressions giving off complete bliss. “Baby #2?” the 21-year-old wrote beneath the pic. Fans quickly went wild over Kylie’s bold caption, speculating that another bundle of joy was already on the way. “Are you pregnant?” one asked. But the “Life of Kylie” star was quick to debunk the rumors. “Lol no,” she commented back.